Experience - There Is No Better Guide! The world is vast beyond measure. And in it, sights more majestic and untamed than any words can tell. Where words fail, experience speaks. If you’ve ever dreamed of going into the wild, into the high places far from the noise of civilization to see beauty for yourself, GoTrek will take you there. 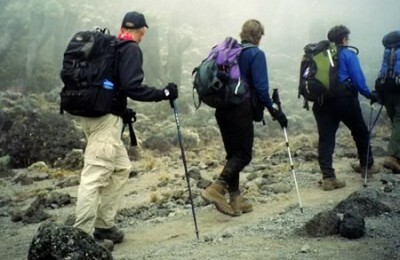 Treks – Non-technical hikes that do not require any specialized equipment but demand solid physical condition. Climbs – Trips that typically require previous high-altitude experience and a knowledge of specialized equipment like crampons, rope travel, ice axes, and carabiners. We’ve led clients in ascents of some of the most difficult peaks on Earth, and we’ve also helped make alpine routes accessible to enthusiastic newcomers to mountaineering. We love working with climbers at any level, and create satisfying trips for everyone from experts to eager novices. Go Trek prides itself in helping foster not only an unforgettable outdoor adventure, but also a memorable cultural experience. 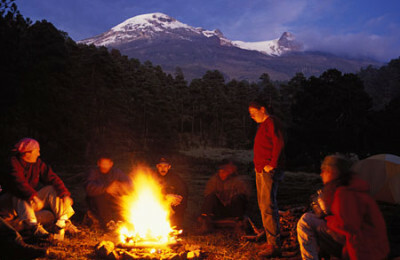 We believe that part of really knowing a mountain is knowing its history and culture, not just its terrain. We carefully select guides who are not only masters of climbing safety with many years of experience in the field, but who are also native to their respective countries. Our guides are happy to share their local knowledge in ways that are helpful, meaningful, and lasting. Go Trek is headed by renowned mountaineer Craig Van Hoy. 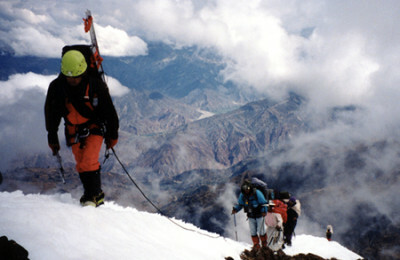 Craig ranks highly among the finest guides and climbers in the world. A native Seattleite, he has summited Mount Rainier over 400 times, climbed each of the “Seven Summits,” and has set records for first American ascents, fastest climbs, and number of summits at peaks around the world. Craig’s passion is now helping others achieve their dreams, and he created Go Trek as a way to share his vast knowledge base and experience. GoTrek offers an excellent opportunity for you to see the world. 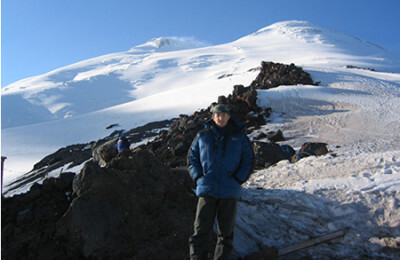 From Kilimanjaro to Rainier, Craig Van Hoy can get you there. If you are ready to get going and want to speed the process along, complete the steps below. Domestic Trips: A full trip value deposit is required. International Trips: A $500 deposit is required. Final payment MUST be received 60 days before trip departure date, otherwise you will risk loss of trip deposit and forfeit your reserved spot on the trip! 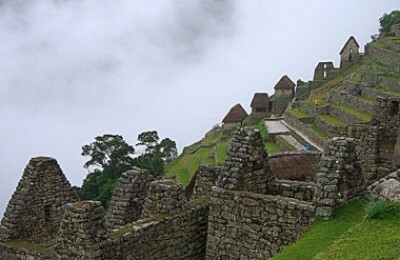 Save $100 of the trip fee if full payment is received 150 days, or more, before trip departure date. Minimum International Group Size: Land costs for International departures are priced with a minimum group size of five participants. If the group size falls below this number the extra costs incurred may be split between trip members or a single supplement cost may need to be added. Charges are assessed on a per trip bases and represent actual costs. Please be sure to read & understand our Payment, Cancellation & Refund Policy prior to sending your deposit. A separate Medical Information Form & Release of Liability Form will be require for each individual member of your party. Please include a brief climbing resume for advanced and international trips. The Medical Information Form & Release of Liability Waiver are provided in Adobe Acrobat Reader format (.pdf). If you don't have the application, it is available for free from www.adobe.com. Your reservation is not confirmed until we have received all required elements and your deposit. We had saved our entire lives for an African Safari. It was our dream! Craig Van Hoy was the perfect guide, very informative, experienced and friendly. Thank you for the time of our lives! I’ve always wanted to climb Everest, but didn’t think I could with the experience I had. Craig Van Hoy put all my fears to rest and showed me a great time! I have the pictures to prove it. Thanks for making Everest a reality! For years I had dreamed about climbing Mt. 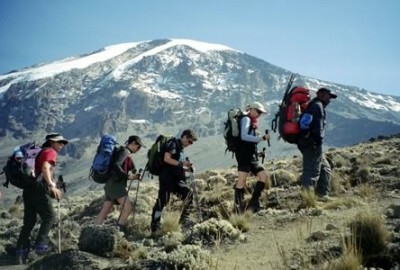 Kilimanjaro… I never expected to actually be in Africa, let alone this dangerous, majestic mountain! made it all the way to the Summit with the help of Craig Van Hoy. He’s an absolutely rock solid guide. The wife and I wanted to do some adventurin’ after the kids left the nest. We had no idea where to go or even how to get there. Craig Van Hoy took care of everything for us. Looking down at the world from Mt. Rainier was really an eye opening experience, I can’t wait to do it again!